We are proud to announce our brand-new DayZ and Terrafirmacraft servers! DayZ Server is called [UK] Tea and Crumpets [Private Hiv, Vet, GMT -10] 1.7.2.6 – hosted by Tsohost.com. If you cannot find it in the server browser you can remote connect with the IP: 195.62.29.229 and using the default port (2302). As you could probably guess, the server is running on it’s own private hive! We also put up a server for the Minecraft mod Terrafirmacraft, with Smart Moving. The IP address is 195.62.29.229:25571. Our Tech minecraft server will be moved to this box some time in the near future. Our host for Teamspeak and Minecraft has discontinued the lease on his server. Backups have been made, and Teamspeak has been moved to a new server. 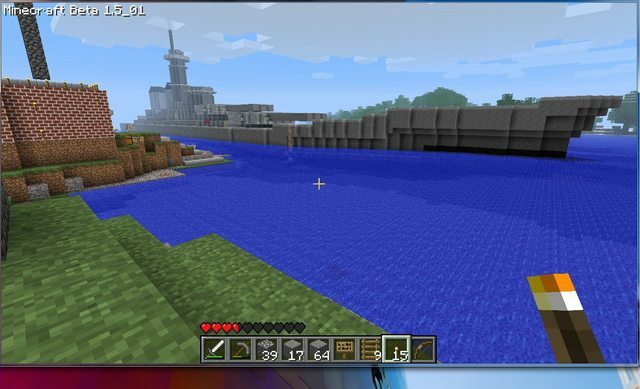 Minecraft will be down for some time, however. If you cannot connect to the TS server using the subdomain ts.kilo-tango.net, connect to odd-sock.co.uk. The DNS has been changed to reflect the IP change, but will take some time to propagate. Today the server that hosts our TeamSpeak went down. Unfortunately, we do not have TeamSpeak set to auto-start, when the server comes back up. We are having some trouble getting the auto-start script to work, but TeamSpeak is back up while we work out the problems. In addition, due to the outdated nature of our WordPress-PHPBB3 integration plugin, I have disabled it. If you wish to post articles to the blog, you will now require a separate account. Please contact me if you are interested in making blog posts. Our current hosting company was just bought out by a different hosting company. We will be retaining the same server, but have a different IP address. Nothing else will be changing other than the downtime while the hosting company moves our box. With the effort of InstertEvilLaught and Aur0ra145, a full scale reproduction of the USS Iowa was completed in the Minecraft server a week ago. The project took over 14,000 blocks of smooth-stone to complete and was worked on by the entire community. The ship features multiple decks, three full-size gun turrets and access to all portions of the ship. Being situated southeast of spawn. Hop on the inter-island railway and visit InsertEvilLaugh and Aur0ra145 at their battleship. Mojang has updated Minecraft to version 1.4 beta, and introduced tameable wolves! The server will be updated by later today. I just added a directory on the website for Minecraft maps. I’ll update it relatively frequently. Maybe once a week. And the folder. There’s only one map in their right now.